We’ve been sitting on a secret and we finally get to tell it to the world. 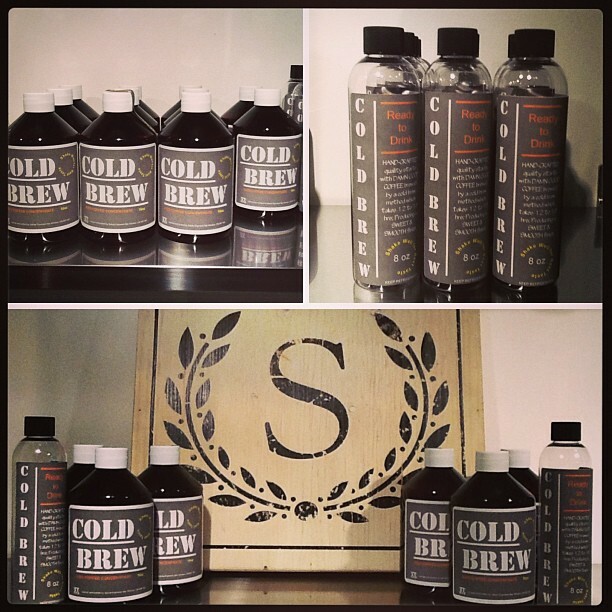 On May 11 and 12, 2013, Salute Espresso Bar is inviting you to experience the launch of their new Cold Brew coffee, Windsor’s first locally made bottled cold brew coffee. Free samples will be served all day, each of the two days and bottled versions will be available for purchase from their retail bar. The Cold Brew Iced Coffee is brewed by a cold brew method which takes 12 to 18 hours, producing a sweet and smooth finish.